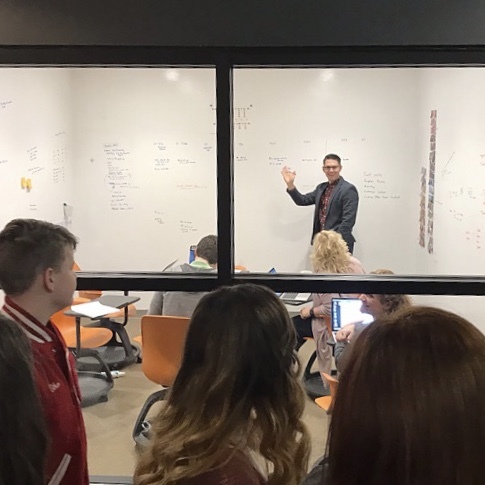 A group of 8th grade students from Ms. Elizabeth Marshall’s art class are getting some real world experience thanks to a project based learning project developed in partnership with local advertising/design firm Pathfinders in Mishawaka. Click to see the photo gallery below. Ms. Marshall’s goal with this project is to help these art students, who will be Freshmen next year at Penn High School, to see first-hand what it’s like to work on a graphics design project. Introductory vocational projects such as these give students practical “on the job training” giving them insight into what a job they are interested in would really be like. These types of experiences are invaluable for middle and high school students as the District prepares them to be college and career ready. Ms. Marshall worked with Pathfinders’ Associate Creative Director James Jursinic to develop a logo/brandmark development project for the students. The students have seven weeks to create two concept sketches (one black & white, the other color) for a logo/brandmark for the fictitious company “FLEEK Footwear.” The students have deliverables to meet throughout the timeline of the project with Ms. Marshall and Mr. Jursinic giving feedback at each milestone. The project was designed to give students exposure in art direction, creative direction, graphic design, project management, time management and client relations. Students learned of their project scope on a recent visit to Pathfinders’ offices (Friday, March 15). Students got to see for themselves the fun and professional world of advertising and design. 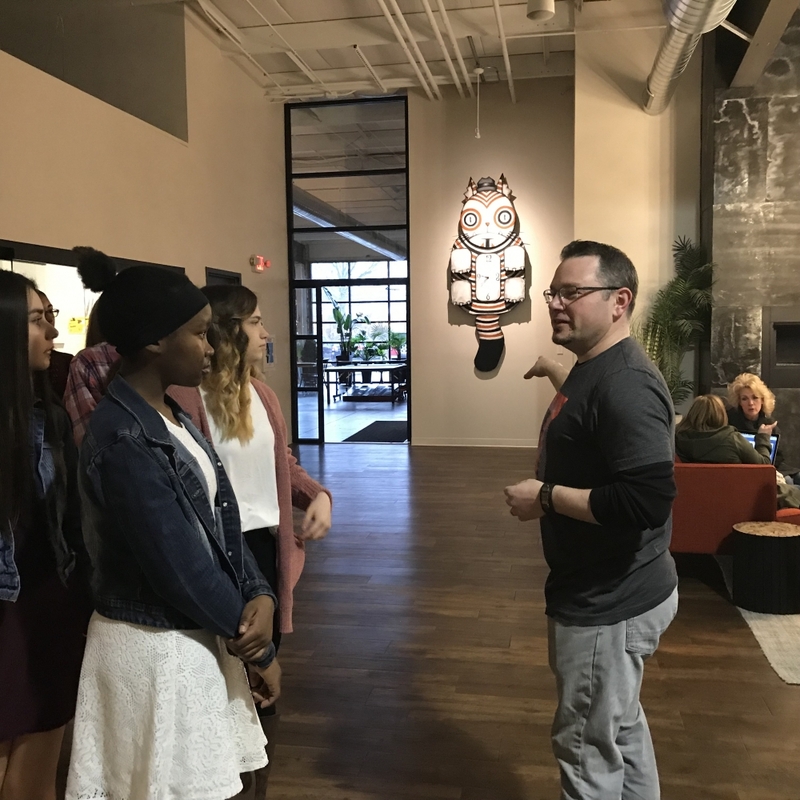 After the tour and introductions to staff members with brief explanations of job responsibilities, Mr. Jursinic presented the students with the project brief, giving students a chance to ask questions. The winner of the project will win bragging rights, a prize from Ms. Marshall and of course get an “A” on the assignment! *To download high resolution jpg files from the photo gallery below, just simply click the “DOWNLOAD” button on the bottom right-hand corner of the photo while viewing it in the Photo Gallery function. We are happy to provide this service to you free of charge.